If you are looking to buy a Panasonic Arch 5 electric razor we have you covered with a review of each one of the arch 5 models and a comparison chart so you can see the differences in each model. This is the high end of the electric shavers that panasonic makes. So, it's important that you know the differences so you know exactly what you are getting for the money you will pay for an Arch 5 electric razor. Panasonics best arch 5 shaver by far sporting all the features it has to offer in the line. It's the Rolls Royace! Over all they all offer a patented motor system running at 14,000 cpms, wet/dry, 30 degree inner blades, 1 hour charging time which lasts for roughly 15 shaves. The only one that does not have 14,000 is the ES-LT41-k which has 13,000 cpms. Overall the 95 and 65 version include a built in sensor that helps to adjust the blades for a close shave and they have a pivoting head. The 81 and 61 have the extra linear power feature. Beyond that the extra accessories that are included in the purchase is what make up the differences. Also note that the ES-LV95-S and ESLV81-K have a cleaning station the shaver will sit in to get cleaned. Otherwise you are doing the others by hand. When it's all said and done, the Panasonic ESLV95-S has everything and the kitchen sink. It's the most expensive out of all four though. So, it will literally comes down to price, a few extra accessories and if you want the cleaning station in choosing the best Panasonic Arch 5 razor for yourself. I hope this eliminates the confusion between them all in our article below. Let's look at them all individually now and see what trips your trigger as to what panasonic arch 5 electric shaver that you want to buy. Dimensions (H x W x D) 6.5 x 2.8 x 2.1 6.3" x 2.8" x 2.0" 6.5 x 2.8 x 2.1 6.3" x 2.8" x 2.0"
The Panasonic ES-LV95-S Arc5 Wet/Dry Shaver is the latest in Panasonic’s technology,delivering an unparalleled close, smooth shave in less time, due to its 5-uniquely angled blades, ultra-thin foils and linear motor that provides 14,000 cuts per minute. The new sleekly designed handle fits naturally in your hand to give you all of the control you’re looking for when maneuvering the shaver across your face. The precision pop-up trimmer finishes the look with professional results. The ES-LV95-S is 100% washable, and the clean and charge system make short work out of keeping your unit clean and performing with precision day after day. 14,000 Cuts Per Minute Linear Motor delivers an efficient, quick cut that does not leave time for irritation, tugging or pulling. A faster cut means less time spent over the sink and more time to get ready for the morning. Options for Wet or Dry Shave give you the power to decide what you want at the moment- a quick, dry shave for times when you’re in a hurry, or a smooth, wet shave with creams or gels for those mornings when you have a little more time to spend on your shave. Panasonic’s Clean & Charge Station keeps your shaver running at peak performance. The ARC5 is 100% washable and is quickly cleaned under running water with its unique sonic vibration cleaning mode. Perfect For Travel, the ES-LV95-S comes with a travel pouch and features universal voltage and a travel safety lock and AC adapter. Panasonic’s ARC5 Shaving System provides you with the ultimate in closeness and comfort with its 5 ultra-sharp, ultra-thin Nanotech blades angled perfectly for an efficient cut. Active Shaving Sensors detect slight differences in your hairs, automatically speeding up the motor when countering thick hair or softening the shave for areas on the cheeks, neck or jawline. The power flow is continuously adjusted automatically in real-time. Premium Performance for all of the hard to reach areas of your face, the multi-pivoting head enables the shaver to glide on the contours of your skin, leaving the perfect smooth shave. Flexible Micro-Foil Patterns work quickly to capture and cut hairs of all different thicknesses. The Lift-Tech Foil is able to cleanly cut even flat laying hairs. The Slit Blade Foil manages longer hairs that tend to grow in opposing directions. The Finishing Foil does its job to capture the extra-thick and even stubborn hairs, leaving your face as smooth as possible. Despite the negative comments about the Panasonic ES-LV95-S Arc5 Wet/Dry Shaver that we have just discussed the majority of the customer feedback has been very positive and 80% of the reviewers have given the product a great rating. What has really impressed customers has been the closeness of shave they were able to achieve with this model. Some reviewers stated that they could get a shave as close as a straight razor, without worrying about any irritation, cuts or nicks because of the safety of the foils. Buyers who were in the military talked about this shaver’s ability to deliver the perfect shave day after day without wavering results. Many of these reviewers felt strongly enough about the results of the shaver to recommend it to their co-workers. Another positive note from customers was in regards to the handle’s new design which put more control in their hands and allowed them to move the shaver in any direction that they needed to without seeming bulky. This was a common expression from buyers who seemed to really like the way the shaver felt in their hand. Last, many positive ratings were left from customers who had tried everything out on the market for their thick or coarse beards but had not been able to find a shaver that would work for them until they purchased this model. These reviewers expressed their satisfaction with finally owning a shaver that delivered what it promised and did not compromise in any one area. The majority of the customer feedback for the Panasonic ES-LV95-S Arc5 Wet/Dry Shaver has been very positive. There have also been a few complaints made by reviewers, and we will discuss them now for the benefit of our readers. One of the most common complaints about the Panasonic ES-LV95-S Arc5 Wet/Dry Shaver has been with regard to its price, with a few reviewers expressing that they could have purchased a much cheaper model and gotten the same close shave. Reviewers did not actually complain about the closeness of the shave, only that they felt the unit was overpriced. Another complaint for the shaver was from a few customers who thought that the handle was too bulky to be able to get enough control over the shaver to get it to move how they wanted it to. These customers felt that the new sleek design was not sleek enough for their liking. Finally, a few reviewers expressed that the active sensors did not do a good enough job at switching between cutting thick, coarse hair and fine hair on their neck or jaw. For these customers, they felt like other models they had owned previously were more efficient at this task. While the company advises customers that it can take several months to get used to shaving with an electric shave, many customers did not want to wait that long to figure it out. Would we recommend the Panasonic ES-LV95-S Arc5 Wet/Dry Shaver to our readers? The feedback for the ES-LV95-S shaving system was incredibly positive and seemed to impress customers enough for 80% of them to leave a 5-star rating. This tells us that the product is meeting a fundamental need for buyers and gives us the confidence to recommend it without hesitation. 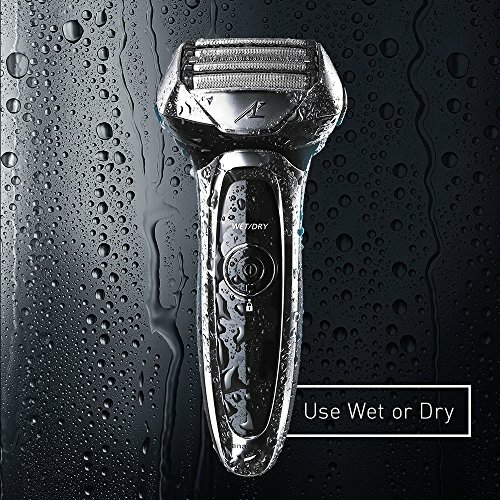 CLICK HERE to get the Panasonic ES-LV95-S Arc5 Wet/Dry Shaver for the best price available through Amazon.com, to have a look at the pictures of it, and to read through the customer reviews in more detail. Nanotech blades, the Quick Cut 14,000 cuts per minute motor, and Multi-Flex pivoting action, all designed to provide the quickest, closest cut with less irritation. Panasonic’s ES-LV65-S Arc5 Wet/Dry Shaver has a new sleek handle design that fits naturally in your hand for more control. The built-in precision pop-up trimmer finishes the look perfectly. Rinse under running water in seconds and be on your way. Flexible Micro-Foil Patterns instantly capture, hold and cut each different type of hair in the beard. Uniquely patterned Lift-Tech Foil features reverse-tapered edges that effectively lift hairs that are laying flat and cut them clean. The Slit Blade Foil grabs longer hairs that normally grow in opposing directions. Finally, the Finishing Foil cuts extra-thick and stubborn hairs, finishing off the look with an even result. Linear Motor delivers 14,000 cuts per minute for a quick, close shave that men on the go are looking for. Quiet, high-performance shave means less time spent standing over the sink. Wet/Dry Options for individual situations- dry for times when you are in a hurry and wet for superior close, smooth shaves with shaving cream or gels. Ideal for Travel, with universal voltage, the ARC5 shaver has a travel safety lock, a case and AC adapter included. ARC5 Shaving System offers the ultimate experience in closeness and comfort, due to the 5 ultra-sharp, ultra-thin blades which are Nano-polished, forged and honed to a 30-degree angle for more efficiency, cutting the hair off cleanly at the root. Active Shaving Sensors automatically detect the beard’s density while shaving along the cheeks, neck and jaw line, adjusting the power flow to accelerate where your beard is its thickest and soften where it is not as thick. Premium Performance combines all of Panasonic’s technology for hard to reach areas of your face. The agile Multi-Flex pivoting head and outer foil glides across your face, flexing where the contours of your features rise and fall, delivering a smooth result every time. What has really impressed the majority of customers has been the new technology that Panasonic offers, by way of its 5 blades with their angles and widely pivoted head. Reviewers loved the closeness of shave they were able to achieve with this shaver, with smooth results and no irritation due to the quick motor that cut down on the shaving time. Reviewers liked the new sleek design of the handle that gave them the control to turn the shaver in any direction that they needed to without strain on the wrist or hands like many of the older models often caused. Many mentioned how natural the handle felt in their hand, as though it was made for them personally. Finally, the majority of customers loved the wet/dry option of the shaving system that allowed them a really fast dry shave when they didn’t have time to get out their shaving accessories and just needed to get the job done quickly. Many customers expressed how enjoyable it was to be able to get a good, quick, dry cut that they knew was not going to irritate their skin. They also enjoyed the ultra-smooth shave that they received when using the wet option, but most of the customers liked being able to alternate between the two features. has been very positive. There have also been a complaint made by a reviewer, and we will discuss it now for the benefit of our readers. Interestingly, it was quite difficult to find any negative reviews for this shaver. We were able to find only 1 review that was not positive from a customer who talked about the difficulty that he had with maneuverability and control of the shaver due to its bulky design. This reviewer mentioned that the shaver was able to deliver a very good shave under the sideburns and under the nose and neck area but did not do well for him below the eyes and alongside the nose, where it tended to burn the skin. The customer mentioned that because the shaver did not perform well for him in these trouble spots, after shaving he often looked like he had a rash or a skin outbreak. Would we recommend the Panasonic ES-LV65-S Arc5 Wet/Dry Shaver to our readers? The feedback for the Panasonic ES-LV65-S Arc5Wet/Dry Shaver was so positive that we actually had to search for quite some time to find a negative rating, and were not able to do so. We finally found one neutral rating, and even that customer seemed fairly happy with the shaver. 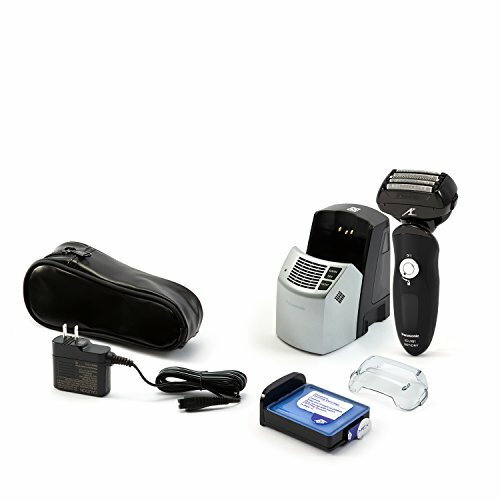 With such an overwhelmingly high percentage of 5-star ratings for this shaving system, we feel that there is something unique about this shaver that is meeting the needs of customers, making it easy to recommend this model to our readers. Panasonic’s ES-LV81-K ARC5 offers smart features like no other shaving system on the market. As a technological giant in the world of shaving, it is packed with features no other shaving system has to offer. The remarkably close and comfortable shave is due to the ES-LV81-K’s 5-blades pivoting at the perfect angle, all working together to give you the closest, smoothest shave possible. The 14,000 cycles per minute eliminate tugging and pulling that can occur with a slower shaver. Comes complete with a travel pouch, 10-stage LCD display and automatic cleaning/charging system. For unparalleled close action, 5 ARC foils working independently to capture and cut stubborn hairs. The foils are reverse tapered to lift up and cut flay-laying hair. Face-Hugging Multi-Directional Flex Pivoting Head has a motion range of approximately 25 degrees forward and back, as well as 20 degrees side to side. Precisely conforms to neck, under the chin and the jaw line. 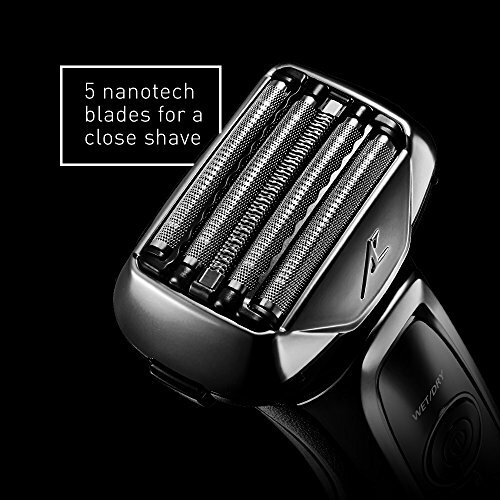 30-Degree Angled Stainless Steel Nanotech Blades. Uniquely polished Nano blades are 30-degree angled and hypoallergenic. Expert angling cuts hair right at the base for outstanding precision. Blades and foils provide superior comfort with less irritation for sensitive skin. Fast, Linear Motor Drive at 14,000 cycles per minute delivers an ultra-fast, close shave. Quick cut technology eliminates the pulling and tugging that can lead to skin irritation. Multi-Fit ARC Blades. Five floating blades work independently to follow the natural contours of the fact, chin and neck, delivering the smoothest shave on even heavy beards. Automatic Premium Cleaning and Charging System cleans, dried, charges and keeps your shaving system performing its best day after day. Makes shaver storage and maintenance easy for peak performance for day after day use. 100% Washable and Waterproof, cleans in seconds under running water. Simply rinse it under the faucet. Wet/Dry Shaving System options. Enjoy the flexibility of shaving dry while on the go, or with cream or gel for the smoothest shave possible. Pop-up Trimmer for absolute precision, to add the perfect edge to your sideburns or mustache or deal instantly with unwanted hair while grooming. 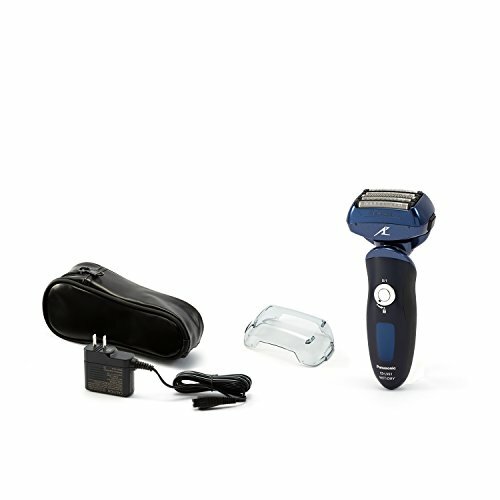 10-Stage Illuminated Blue LCD displays battery status as well as charge indicator, plus the added feature of a cleaning reminder to keep your shaving system performing like new. The Panasonic ES-LV81-K Arc5 that we have just discussed the majority of the customer feedback has been very positive and 68% of the reviewers have given the product a high rating. What customers loved about the Panasonic ES-LV81-K Arc5 was the new technology of the shaving system that left them feeling smooth and clean in less time. Many reviewers talked about it offering a really quick cut, which they liked, especially when they were away from home and wanted a fast shaving experience that didn’t keep them standing over the sink when they needed to get to a meeting. Another positive note was from buyers with thick and hard to manage beards, who felt that this electric shaver gave them the best overall shave that they have ever had with an electric shaver. Many of these customers mention the fifth blade, which they felt was responsible for the extra diligence of the machine and its ability to cut through the thickest facial hair and provide smooth results. The last two reviews for the shaver were in regards to the handle and the ease of cleaning. Many buyers talked about the ergonomic handle of the new Panasonic shaver, and that it’s unique design seemed to make the maneuverability of the unit easier to manage. Buyers loved how easy it was to clean under the faucet. The majority of the customer feedback for the Panasonic ES-LV81-K Arc5 has been very positive. There have also been a few complaints made by the reviewers and we will discuss some of them now for the benefit of our readers. One of the most common complaints for the ES-LV81-K shaving system has been about the price of the unit. 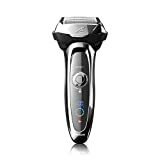 Many reviewers felt that this was quite an expensive shaver, and while most agreed that it delivered an extremely close shave, they still felt that they could have gotten as close of a shave from a less expensive model. Another complaint about the Panasonic shaver was about the irritation that they felt after dry shaving with the unit. Many customers expressed their satisfaction while using the wet option, using either cream of gel with the shaver, but talked about not being able to take their shaver on business trips without having to lug along wet shave accessories. This was disappointing to customers who specifically purchased the shaver for its dry shave capabilities but found that they could not use the shaver for dry shave without their skin becoming quite irritated. Finally, customers mentioned that for thick beards of wiry hair, the shaver did not deliver as close of a shave as they felt it should. Some reviewers mentioned having to shave more often than they would have liked to in order to maintain the clean look and smooth feel that they felt the unit should have delivered with only one shave. Would we recommend the Panasonic ES-LV81-K Arc5 to our readers? The feedback for the Panasonic ES-LV81-K Arc5 has been so positive that we feel it has really been able to meet a need on the market for a shaver to deliver a close cut with heavy beards- something many men are looking for but were unable to find. 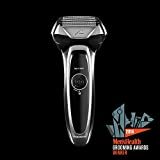 The high percentage of buyers who left a 5-star rating gives us the confidence to recommend this shaver to our readers. CLICK HERE to find the best price for the Panasonic ES-LV81-K Arc5 through Amazon.com. At the moment you can save $100 off of the listed price by using the Amazon clip coupon and have it delivered with free super saver shipping. Panasonic’s new 5-blade wet/dry shaver is absolutely packed with features to take your shaving experience to a new level. More foils for expanded coverage with 30 degree nanotech blades honed to the precise angle for a cleaner cut at the root. Lift-Tech Foil System. The ES-LV61-A foils interact to deliver an extremely close shave. Panasonic’s unique ultra-thin finishing foil captures stubborn hairs and cuts them close. Reverse-tapered edges even cut flat-laying hair. Face-Hugging Multi-Flex Pivoting Head. Motion range of head: 25 degrees forward and back, 20 degrees left and right. Closely fits neck, under the chin and along the jaw line. 30-Degree Stainless Steel Nanotech Blades. State of the art ‘Nano’ polished 30-degree angled, stainless steel, hypoallergenic blades work at the base of your skin to cut hair, delivering precision like no other shaving system. Hypoallergenic blades and foils for superior comfort and minimized irritation for sensitive skin. Fast, Linear Motor Drive. At an unbelievable 14,000 cycles per minute, the linear drive motor gives a fast, close shave, insuring a quick but excellent cut with reduced pulling, tugging and irritation. Multi-Fit ARC Blades. The five floating blades work independently to follow the natural lines of your face, chin and neck for a close, smooth result like you’ve never felt. 100% Waterproof and Washable, Cleans in Seconds Under the Faucet. It’s never been so easy to clean your shaving system before. The ARC5 rinses under running water for a thorough and convenient cleaning in only seconds. Wet/Dry Shaving Options. Enjoy the best of both worlds for whatever mood hits you- dry operation or wet with foam or gel. Pop-up Trimmer For the Perfect Grooming Experience. One press of your finger is all that is needed to instantly engage the pop-up trimmer for precision sideburns and mustaches or to quickly whisk away unwanted hair while grooming. Despite the negative comments about the Arc5 Electric Shaver that we have just discussed, the majority of the customer feedback has been very positive and 73% of the reviewers have given the product a great rating. What customers loved was the incredible closeness of shave that the 5 blades offered without irritation of the skin like so many other shaving systems can cause. Reviewers mentioned repeatedly how quick and close the blades worked, even on thick, dark beards and sideburns. Another popular feature was the wet/dry option, which seemed to be a hit with buyers who talked about being able to choose what type of shave they wanted, depending on their environment or mood that they happened to be in. Businessmen mentioned being in hotel rooms without shaving cream or gel and using the dry shave feature without the razors irritating or harming their skin. Last, reviewers liked the under-the-faucet washable feature of the shaver, making clean up quick and easy. Some buyers expressed the gratefulness of their wives and girlfriends who didn’t have to clean up after the man-shave. The majority of the customer feedback for the ES-LV61-A has been very positive. There have also been a few complaints made by the reviewers and we will discuss some of them now for the benefit of our readers. One of the most common complaints for the Arc5 Electric Shaver has been from customers who felt that for the amount of money the shaving system cost, it didn’t give a closer shave than other razors that they had previously owned that cost less. Many of these reviewers stated that the shaver did work very well for them, but they thought it was overpriced. Another complaint from customers was about the length of time that the company thought it should take for buyers to get used to using this shaving system- which was a full three months. Many buyers felt that for the cost of the shaver, they should have been able to get used to using the shaver in a much shorter time. Some said that it still felt awkward using it after the three months had passed. This made the shaver less enjoyable to use, and some customers stopped using it altogether within that time-frame. The feedback for the ES-LV61-A Arc5 razor has been overwhelmingly positive and seems to really meet a need for on-the-go men who are looking for a quick but excellent shave. The fact that 73% of buyers have left the shaving system a perfect rating gives us great confidence to recommend it. 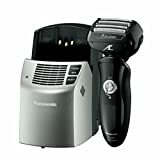 CLICK HERE to find the best price for the ES-LV61-A Shaver through Amazon.com. At the moment you can save $100 off of the listed price with an Amazon Clip Coupon and have it delivered with free super saver shipping.